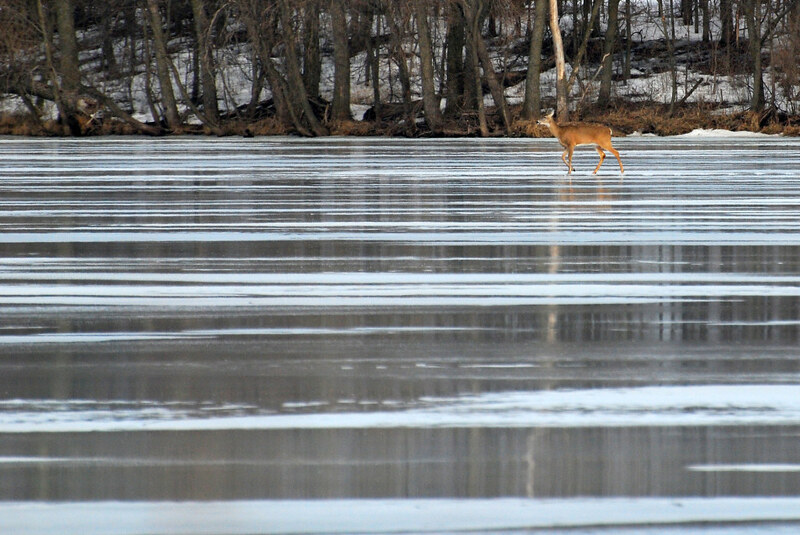 This brave deer is literally on thin ice. Even with today's late-season snow storm any remaining ice won't last long. Actually if he's on any normal Twin Cities lake he's probably on 12-18 inches of ice. Only the top of the ice is melting right now. But good... no Great Pic!